Not everyone embraces technology as quickly as others. While most of us have moved on to tablets or our smartphones to jot down import information and ideas, others are set in their old ways and stick to simple pen and paper. I admit though that while I do everything almost digitally now, there’s just something natural and easy with pen and paper so it’s understandable that there are those that just can’t let go of it. 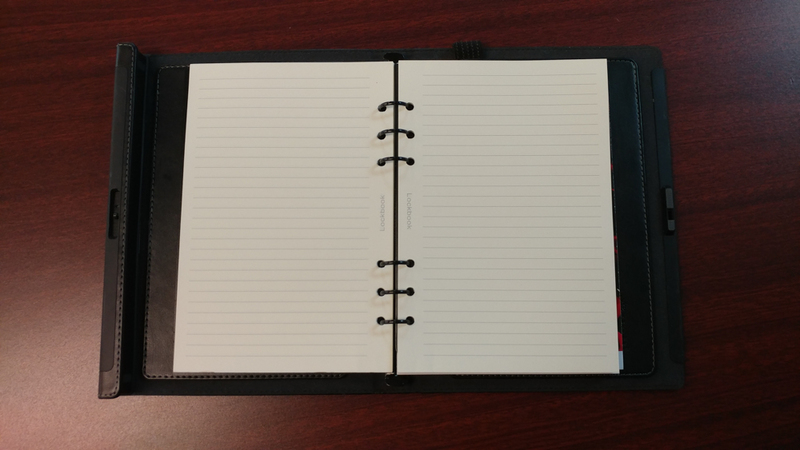 However, pen and paper isn’t exactly as secure as storing information away on your smartphone or tablet which is why the FPlife Lockbook exists. The Lockbook is a refillable notebook/organizer that can be secured via biometric fingerprint reader so that you only have access to its contents. For this review, FPlife sent me a pre-production “beta” unit meant to give me a taste of what the final product would be like when released. 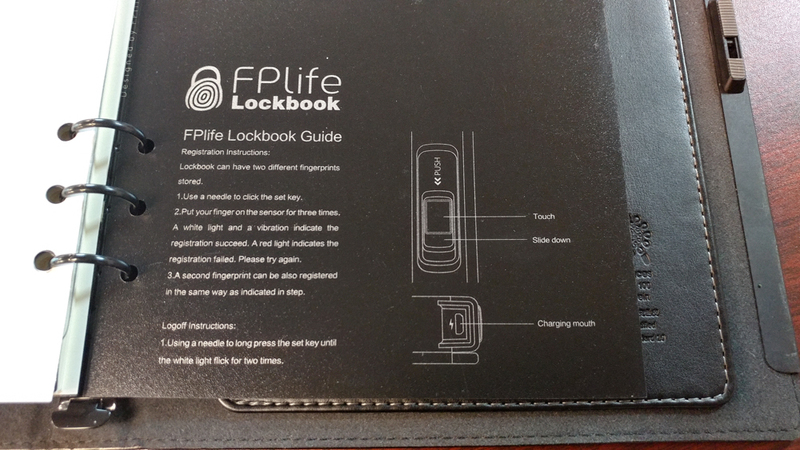 For the most part, the FPlife Lockbook looks like any other notebook/organizer. 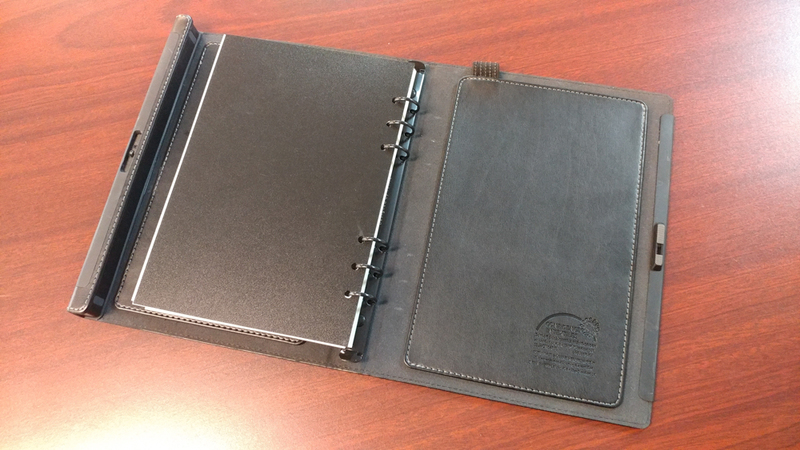 It’s got a rather nice looking leather body and on the inside, its got ring binders so that you can add and take out pages. That means you can add different kinds of papers, inserts, and other accessories that you might need. In the case of this one I received, it included some different kinds of paper, little post-its, and a zip pouch. Now while this might all seem quite ordinary still, it’s the included biometric fingerprint lock that makes it different. 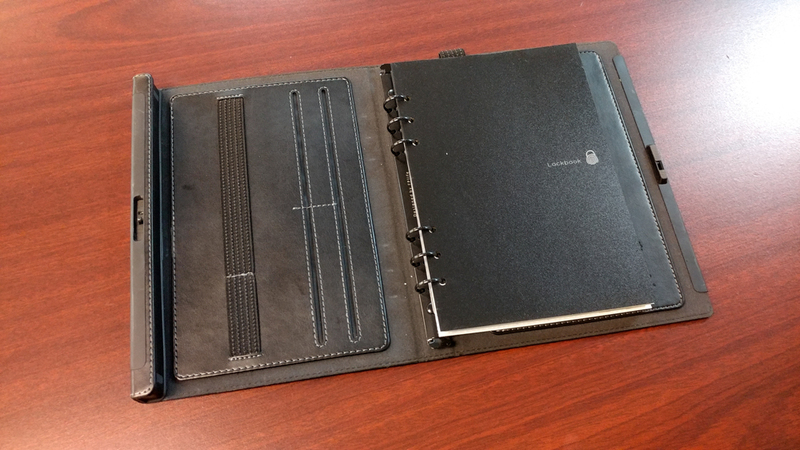 This notebook/organizer becomes totally secure when closed shut. There is no way to open it unless you provide your fingerprint to unlock it. Just place your finger on the the lock and if it reads the correct print, you’ll here a little click noise which then will let you slide the lock open. If your print is wrong, it stays shut. 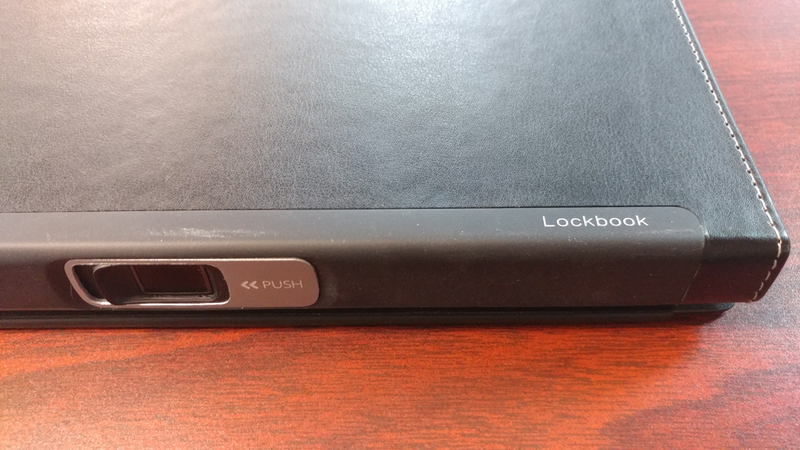 Because the biometric fingerprint reader requires power, you will need to charge the Lockbook every so often via USB cable that plugs into the USB port on the side. It’s a standard port so most likely you’ll already have a cable handy with you. There is one issue however you need to be ready for and that when you are completely out of power. 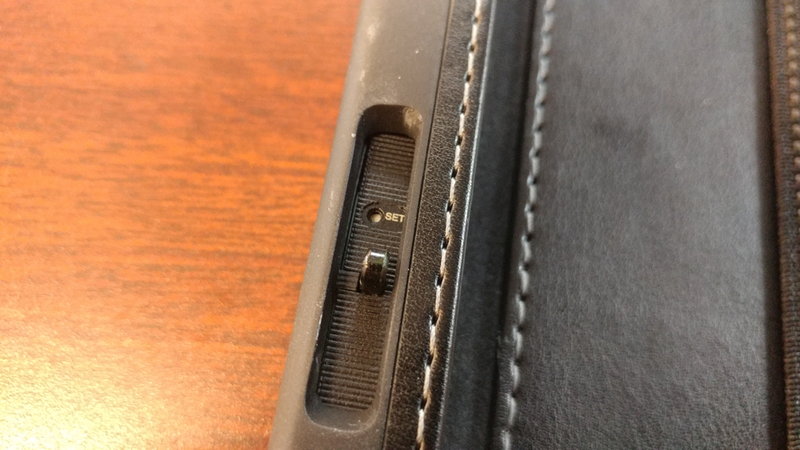 When that happens, the Lockbook will not open because there is no power to make the fingerprint reader work. When this happens, the only way to open it is to plug it into a power source. It’ll open right up, but you’ll need to charge it again. If for any reason the Lockbook will not charge, you’re kinda screwed unless you’re willing to pry it open with a screw driver carefully so you don’t risk breaking the lock. I’ve been told however that final units will have a workaround for this as this was an issue with my pre-production version. Aside from that, the FPlife Lockbook is an interesting animal. It allows purists of pen and paper to enjoy their old ways, yet adds a tiny bit of tech to modernize it for security. It’s the smallest of baby steps to at least get them to the point where most people are today. While I know that pen and paper will never really die off, at least with the Lockbook, you’ll be able to keep your information from prying eyes.